From a lean start-up method perspective, a business model is a transitional framework that aims to identify a customer problem and a repeatable and scalable business solution to that problem. This model focuses on early-stage adaptability (also known as “pivots”) based on direct customer and potential partner feedback in response to the details in the model itself, including basic product prototypes. This hypothesis-driven adaptive structure eliminates unnecessary time and money spent on the development of long-term business plans that are based primarily on secondary research and early-stage large-scale product development. To this end, it is expected that the use of business model ideology by entrepreneurs will reduce their initial investment and optimize their practices, ultimately leading to increased success for start-ups and established companies alike. More information on the lean start-up method and business models can be found in the Resources section. 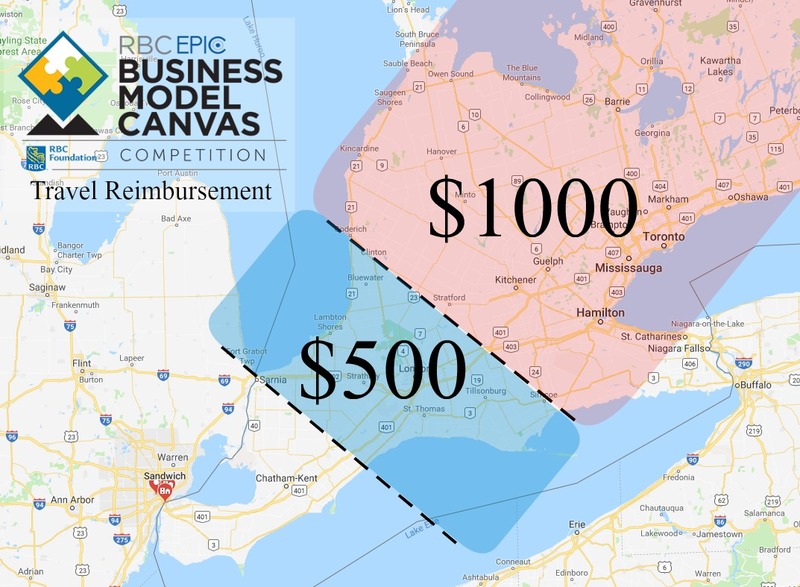 The main goal of the RBC EPIC Business Model Canvas Competition (BMCC) is to educate entrepreneurs and provide them with tools to help launch more successful ventures. *All teams travelling from a significant distance outside the Windsor-Essex area will be reimbursed for travel expenses, up to a maximum of $1000 (receipts will be required).